D) Be able to do manual labor and get gross (details below). We do not recommend traveling from far away, i.e. flying in from out of state, because plans can change at the last minute due to weather. We’d hate to have you come all the way here and not get to come. However, if you want to risk it, you’re welcome to come. You’ll have to make your own travel arrangements, including finding a hotel and either renting a car or taking a taxi to where the boat leaves from (the DNR complex on James Island) . The closest hotels are about 20-30 minutes away depending on traffic. We do not offer any kind of travel reimbursement. The only exception is if you know me (in real life, not from Twitter), you can stay at my condo and I’ll drive you to and from the boat. 3) Can I go on more than one trip/ can I work with you all summer? We are primarily looking for people who want to come out with us one time. That way, more people get to participate. However, in rare cases we may be able to let someone come out more than once, i.e. if you traveled from far away. This isn’t guaranteed, though. We are not looking for anyone to come out with us on every trip. There is no official internship or anything like that. 4) How much does the position pay? Lots of you have been asking questions as if this is a posting for a full-time job. It is not. Again, we are primarily looking for people to come out with us one time. We do not reimburse for travel and we do not pay you. That’s why we’re asking for “volunteers”. 5) Are you ever sampling closer to where I live? Many of you have said that while you are unable to come to South Carolina, you would love to help if we ever come sampling closer to you. In some cases, “closer to you” is another part of the U.S., and in other cases it has been places as distant as Brazil, Italy, and Thailand. This survey is run by a state government. We do not operate in other states and we definitely do not operate on other continents. 6) What is the boat like? We operate from a small (less than 20 feet) McKeeCraft. It does not have a bathroom. It does not have air conditioning. It does not have shade. It does not have places to sit (we generally stand or sit on either a cooler or the gunwale). It holds four people. 7) What will I be doing? Volunteers will assist with every aspect of the survey, including baiting hooks, pulling nets, and recording data. It is hard work. The gear is heavy. You will get disgusting. However, you will get to see sharks, and if you’d like you will get to touch and even hold sharks (in a way that is safe for both you and the animal). I’ve only been on two cruises where we caught fewer than 20 sharks. On the busiest day I’ve participated in, we caught over 250 sharks. 8 ) What do I need to bring? You need shoes that cover your toes (with hooks and annoyed carnivorous fish on board, toe protection is important). You need lots of water, and either snacks or a bag lunch.You need clothes that you don’t mind getting disgusting. Between bait, mud, and sweat from being in the South Carolina sun, you will be gross by the end of the day. A hat and sunglasses are a good idea. While it isn’t required, we strongly recommend bringing a camera to document your adventure. 9) Can I come with another person? As stated above, the boat only holds four people. The scientist who runs the shark survey will always be one of them. I will almost always be one of them. Other grad students working with sharks sometimes come with us, too. That leaves us with either one or two spots on most days. If there are two spots, you can come with another person. It might not work out, though. 10) What kinds of sharks are there in South Carolina? More than 30 species of sharks spend some or all of their time in South Carolina state waters. However, the most common species that we see are Atlantic sharpnose sharks (which are by far the most common), sandbar sharks, blacktip sharks, scalloped hammerhead sharks (primarily pups), finetooth sharks, and bonnethead sharks. I’ve also seen lemon sharks, nurse sharks, tiger sharks, blacknose sharks, spinner sharks, bull sharks and a single smooth dogfish. 11) What kind of research will I be helping with? The survey exists primarily to monitor the populations of South Carolina’s resident sharks. It’s part of a larger monitoring network called COASTSPAN. Most of what we do is catch, measure, tag, and release. If you are a journalist or professional photographer, we’ll need to get approval for you to take pictures, but we can probably make it happen. Additionally, several other research projects are operated by the survey, including my own sandbar shark feeding ecology study. Depending on what kind of sharks we catch, we may use additional techniques. Fair warning to my tree-hugger friends: some of these studies involve lethal sampling. 12) Why are you giving us this opportunity? Running a survey is hard work, and we appreciate the help that volunteers provide. Also, we are big fans of citizen science and enjoy giving people a chance to participate in research and learn about our environment. 13) How do I sign up? By e-mailing me to express your interest, you are already on the list. When I get the official schedule (which states when we’re going and how many spots are available on each day), I will e-mail friends who wanted to come to give them first crack at the schedule. After that, I will e-mail everyone else on the list and tell you what the available days are. At that point, it’ll be first come first serve (and by come, I mean e-mail me your preferred date) until the schedule is full. 14) Do you still have room for volunteers? We already have way more people expressing interest than we have spots. However, it can’t hurt to ask. Once you’re on the list, it’s just a matter of getting back to me before others do. 15) Is it as awesome as it sounds? I hope this helps answer your questions. If you have any more, please don’t hesitate to ask. I hope to see you this summer! State of the Field: First World or Third World? I would love to go out with you guys whenever you have an open spot. Once you have the list please e-mail me so I can get on it, thanks for this great opportunity! Josh, have you already contacted me? Commenting on a post listing FAQ’s doesn’t get you on the list, you’ll have to e-mail me if you haven’t done so already. Please let me know what you are doing. 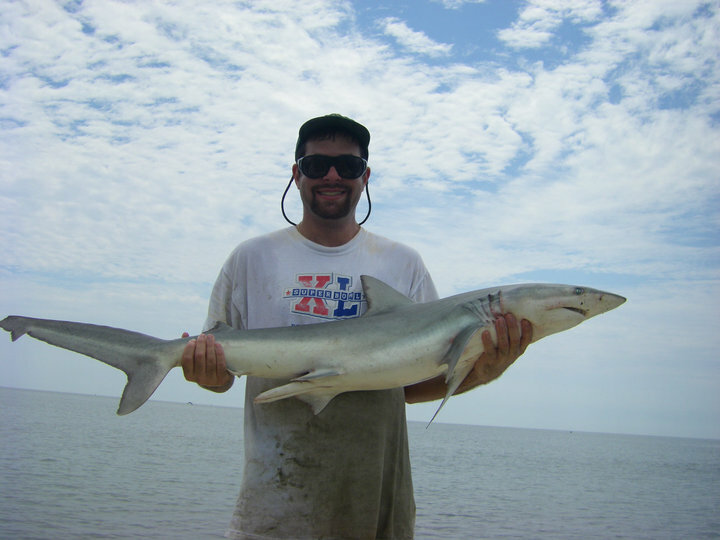 I have tagged over 40,000 spiny dogfish sharks for the last 14 years. Please coordinate with me if you are tagging those. Also, we have an acoustic array out below Cape hatteras and are monitoring acoustically tagged animals in the region. I live out of State but my Biology teacher suggested I should go out one day with you. If you could email me back so I can get some dates and days I will possible be down in that area. I have a couple of additional questions as well. I can’t speak for Dave, but my intuition tells me that ignoring all of the instructions on a post that tells you explicitly how to get on the list for a volunteer experience that receives several hundred requests for 30-odd spots is a guaranteed way not to get on said list. Dave concurs with your intuition.